It designed for 8th form student, Tunisian schools. It´s about how important sporting activities are. 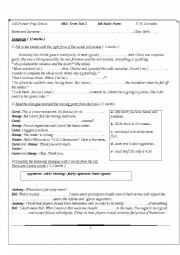 I hope they can be helpful as it contains a variety of grammatical points and word formation: simple present, present continuous, simple past, past progressive, nouns, adjectives, object pronouns, prepositions, linkers, adverbs. 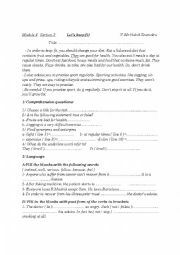 It also contains dialogues to complete and a paragraph to complete with missing parts. Parents and children education/ Entertainment: Preparing for the party/ The party is on. 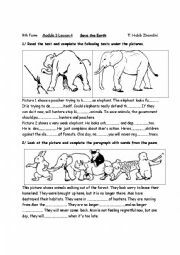 A worksheet for the last lesson of module 2 and lessons of module 3 from Let´s discover more English , Tunisian books. hope they are useful. I hope it can be helpful. 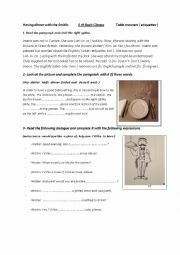 It trains students to talk about English table manners and use vocabulary of module 3 in context. 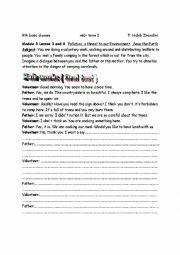 It contains ideas how to make people aware of the danger of throwing garbage and prepare meals in the forest. 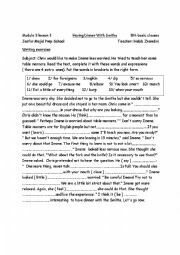 I hope my worksheets will help you with module 3 lesson 3 Having dinner with the Smiths. 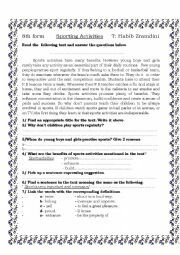 There is a paragraph that deals about how to lay the table. there is also a paragraph about how Imene is worried about table manners. 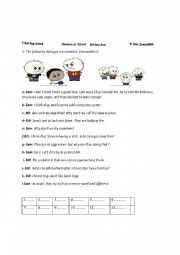 I hope these worksheets will help you with lesson 3 " let´s keep fit" It will give teachers further activities to explain more the lesson. 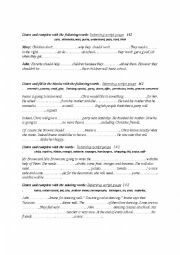 Language exercises will probably help with the presentation stage.